Way Before Instagram A Revolution in the Use of Filters was Taking Place. Deep scientific roots underlie the art form we know of as photography today. Early pinhole cameras were both described by Euclid and Aristotle in ancient Greece. In order to understand light and colour in their work a “dark chamber” or camera obscura was used by Renaissance painters including Leonardo da Vinci. Another precursor for early approaches to photography was The Book of Optics by Arab mathematician, astronomer, and physicist Hasan Ibn al-Haytham which defined certain techniques. From this time on innovations beyond optics came but it was especially the 19th century that modern progress was made, from daguerreotypes in 1837, to dry plates in the 1870s, and rollable film in the 1880s. Yet all of it was in black and white. Hand-colouring was able to be done on prints but it would take another leap forward before true-to-life colour photography became possible. 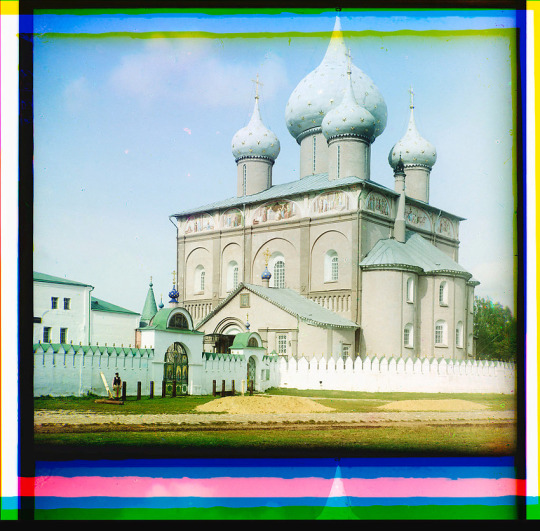 A detailed portrayal of Russia in the early 20th century from the photo negatives of one premier photographer are being restored and digitized by the Library of Congress since they helped to pave the way for coloured images as we know them today. 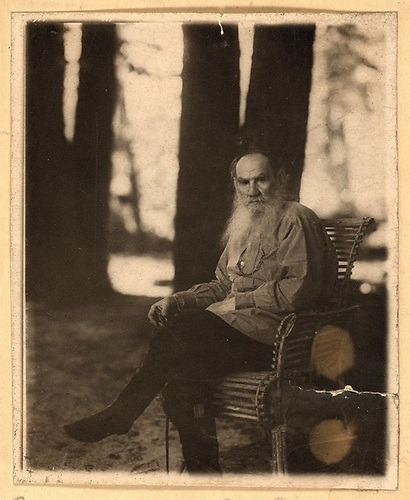 Sergey Prokudin-Gorskii was a chemist and photographer, first known for presenting papers on the science of photography as a member of the Imperial Russian Technical Society, the country’s oldest photographic society. His interest in the limits and freedoms of colour photography deepened after establishing a studio and laboratory in St. Petersburg. Alongside photochemistry professor and photography practitioner Adolf Miethe he studied colour sensitisation and three-colour photography after his fascination brought him to Berlin in 1902. 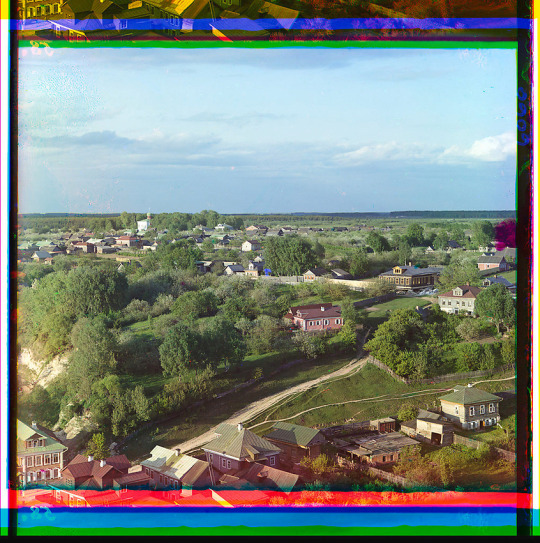 Prokudin-Gorskii decided to stick with Miethe’s familiar process of colour photography as the expense and difficulty of the Autochrome colour process introduces by the Lumière brother in France in 1907 was too great. To produce their full-colour image, coloured filters were used when black-and-white negatives had been shot and reassembled. Tsar Nicholas II was presented with colour images of Russia’s culture and monuments as well as a portrait of the revered writer Leo Tolstoy by Prokudin-Gorskii a few years later. 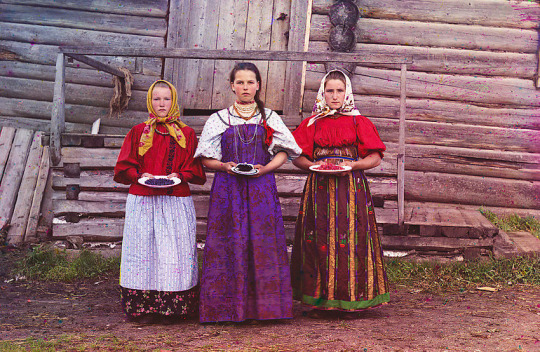 Using his innovative colour photography techniques special access and funding was provided to him by the Tsar to document daily life in Russia. Focusing in particular on the country’s farther reaches, roughly from 1909 to 1915, 10,000 images of the Russian Empire were produced thanks to a specially designed railroad-car darkroom outfitted by the Tsar to be used by Prokudin-Gorskii. A portion of this historically significant collection of images was purchased from the photographer’s sons by the Library of Congress in 1948. “There are 1,902 images from black-and-white glass negatives,” says Phil Michel, digital project coordinator in the Prints and Photographs Division at the Library of Congress. 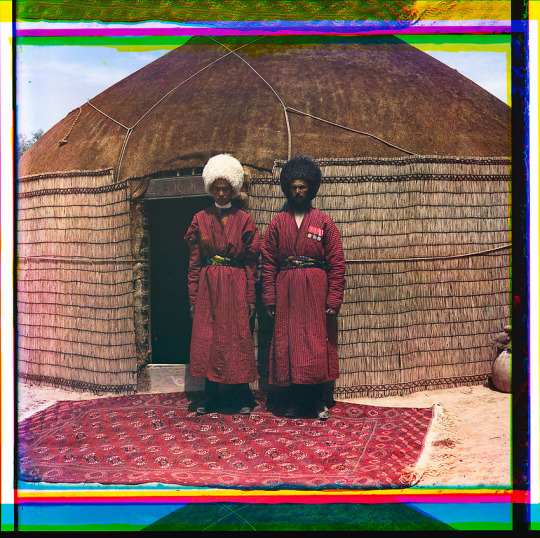 “We digitized the entire collection of negatives in the year 2000.” Because the images date to before the Russian Revolution and before World War I, Prokudin-Gorskii’s photographs come from an important historical time. In contrast to the photographs of technologically advanced factories of the era his renderings of medieval churches and monasteries offer insight into “old world” Russia. This produced a wide-ranging and vivid portrayal of the Russian people. “In the early 20th century, when Prokudin-Gorskii photographed his visual survey, the Russian Empire included not only modern-day Russia, but also substantial territory in Eastern Europe, Central Asia and beyond,” according to the curators in the Prints and Photographs Division. “The survey greatly interests both the many people living in this vast region and people elsewhere in the world trying to learn about its history.” About 3,500 negatives of Prokudin-Gorskii’s personal inventory were taken to Paris when he left Russia in 1922. However, half of them were confiscated by authorities who deemed their subject matter too sensitive to leave Russia. The process for digitizing the remaining glass negatives was as labor-intensive as it was for Prokudin-Gorskii to produce them. It took the curators nearly six months to complete the initial scanning process of the 1,902 glass plates. The Library then commissioned 122 colour prints based on these digital files, with Walter Frankhauser of Walter Studio in Monrovia, Maryland. The digital process, in that instance and in later digitization efforts, was essentially the same as the analog one, superimposition of the three filtered images, with the artifacts of that visible at the edges. This entry was posted in Culture, General interest, History, Other photographers, Photography, Recent Posts and tagged filter, photography, Russia. Bookmark the permalink.